It's time! I know a lot of people are excited about this and so am I. Even better is the fact that we have Dewey's 24 Hour Read-a-Thon on Saturday. What a way to finish out this read-a-thon with a bang! 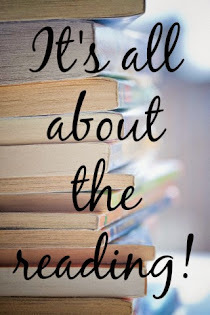 Remember...the one main "rule" of Spring Into Horror is that you must read ONE scary book (which can be a thriller, mystery, Gothic novel, or similar for those who are faint of heart). The rest of the week...anything goes! 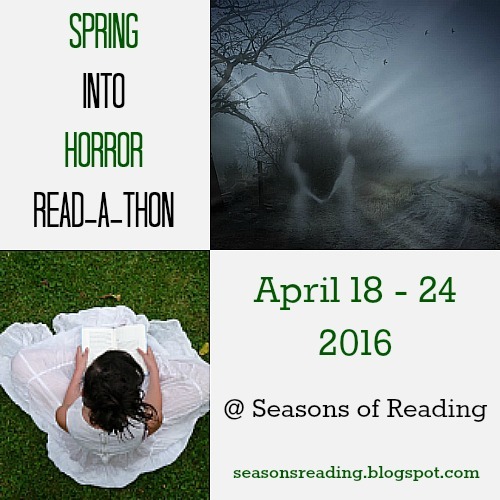 Read more horror, or go in for less heart pounding selections. I have a bunch of prizes lined up thanks to some very generous authors (and me!). I'll have the prize page posted by late Tuesday or Wednesday. There will be a Google form on the prize page for people to sign up for the giveaway if they're interested in winning a prize. This helps me to give away prizes to those who really want them AND helps me to facilitate contacting the winners. I will post a mid-week check in post on Thursday. Our hashtag for the read-a-thon is #SpringHorrorRAT ...and don't forget about our Facebook group! I'm not going to schedule an official chat in the Facebook group or on Twitter, but I will be monitoring the group and Twitter via the hashtag so if anyone wants to chat, hit me up. That's it! This is what I wish for you this week...if you want to get scared, I hope you end up hiding under the covers, or if you just want to be mildly unnerved, then I hope you get a few goosebumps. Have fun! I fixed it. Sorry about that! FYI, the linky in this post is the same as the sign up post. I'm really enjoying the enthusiasm too!